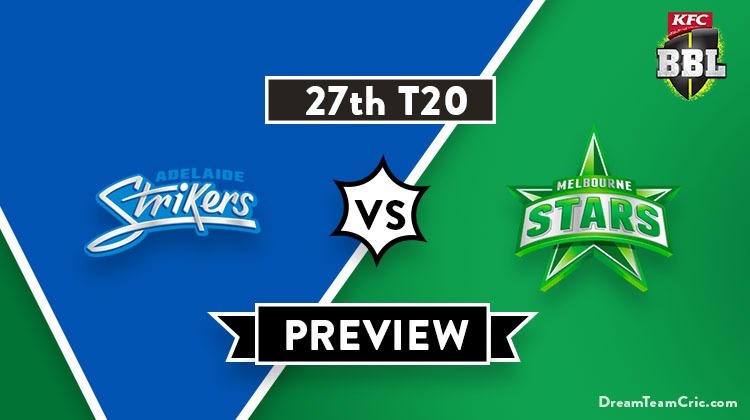 Hello and Welcome to our preview for Adelaide Strikers vs Melbourne Stars match. 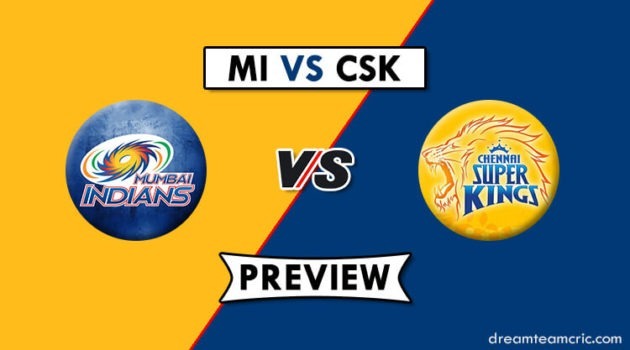 We are covering ADS vs MLS Dream11 Team Prediction, Preview and Probable Playing XI for the Big Bash League 2018-19 match. The match is to be played at Adelaide Oval. Adelaide Strikers are fifth on the points table with three wins and three losses. They lost their last match to Sydney Sixers by 6 wickets. Batting first, Jake Weatherald and Jon Wells played good knocks of 50 and 42* respectively to lead the team to a mediocre total of 150 runs. With a bowl, Rashid was the only positive taking two scalps but could not defend the target. Return of skipper Travis Head will certainly boost their morale and will hope to get a victory over Melbourne Stars. Melbourne Stars are just above Strikers in the points table with similar three wins and three losses. They also lost their last match to Perth Scorchers by 6 wickets. Batting first, Ben Dunk regained his form scoring 62 runs and was supported by Evan Gulbis to give a chasable target of 147 to Scorchers. Dwayne Bravo and Liam Bowe were impressive in the defense taking two and one wickets respectively but could not stop Scorchers from getting the victory. They will hope to give a tough challenge to Adelaide Strikers under the leadership of Nic Maddinson. ADS vs MLS, 27th Match, Big Bash League 2018-19. Colin Ingram (c), Rashid Khan, Jake Lehmann, Michael Neser, Matthew Short, Cameron Valente, Jake Weatherald, Jon Wells, Wes Agar, Liam O’Connor, Ben Laughlin, Travis Head, Harry Nielsen (wk). Michael Beer, Scott Boland, Dwayne Bravo, Ben Dunk, Evan Gulbis, Nick Larkin, J Bird, Seb Gotch, Liam Bowe, Liam Plunkett, Nic Maddinson (c), Lance Morris, J Merlo. They have announced 13-player squad for the match. Skipper Travis Head has joined the squad for two matches along with Harry Nielsen and Ben Laughlin. Alex Carey, Peter Siddle and Billy Stanlake are on national duty and have been removed from the squad. Travis Head and Jake Weatherald can open the innings. Colin Ingram, M Short, Jon Wells and Harry Nielsen will follow them. M Neser, C Valente and Ben Laughlin will spearhead the pace attack while Rashid Khan and Liam O’Connor will be the key spinners. Travis Head, Colin Ingram and M Short can support them. If the team prefers an extra pacer then Wes Agar can also get a chance in place of Liam O’Connor. They have declared 13-men squad for the match with one change. Lance Morris replaces Tom O’Connell in the squad. In the last match, Nick Larkin was demoted way down the order and can return back to one down. Evan Gulbis and Ben Dunk can open the innings. Nick Larkin, Nic Maddinson and Seb Gotch will follow them. Dwayne Bravo will play the role of the all-rounder. Liam Plunkett, S Boland and Dwayne Bravo will be the key pacers while Michael Beer and Liam Bowe will lead the spin attack. Jackson Bird and Lance Morris are unlikely to find a place in playing XI as all-rounder Merlo will be preferred so as to strengthen the batting attack. Travis Head (c), Jake Weatherald, Colin Ingram, Matthew Short, Jon Wells, Harry Nielsen (wk), Michael Neser, Cameron Valente, Rashid Khan, Ben Laughlin, Liam O’Connor. Evan Gulbis, Ben Dunk, Nick Larkin, Nic Maddinson (c), Seb Gotch (wk), Dwayne Bravo, Jonathan Merlo, Liam Plunkett, Scott Boland, Liam Bowe, Michael Beer. Captain and Vc choices: T Head, Rashid Khan, Ben Dunk, Weatherald, Colin Ingram. 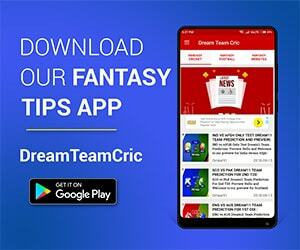 If you liked ADS vs MLS Dream11 prediction, then follow us on Twitter for Latest Cricket News and Grand League Teams.